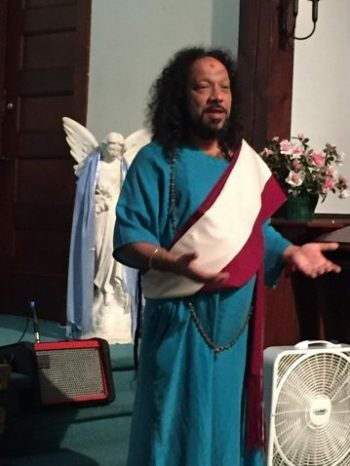 What an amazing guest graced our Interfaith Sunday on September 17, 2017 celebrating the U.N. International Day of Peace at the Chapel at Croton Falls in Westchester, NY! Kulavadhuta Satpurananda, a delightful master from India of many traditions, shared his wisdom and a meditation and even joined our Peace Pole rededication. We also heard from Muslim Sunera Rahman about the plight of the Rohingya entering her native land of Bangladesh; from Pastor Hans Hallundbaek about the “peace telegraph”; and kirtan music performed by Miriam ‘Sita’ Zernis. 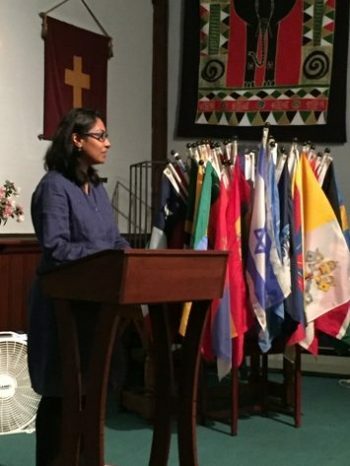 It was a joy to celebrate the International Day of Peace with this truly interfaith program. The Peace Day event, organized by Rev. 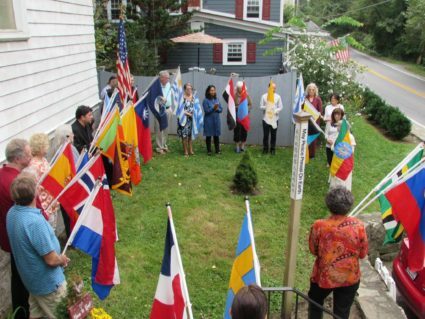 Deborah Moldow, includes an annual rededication of the Chapel’s Peace Pole, which was planted at the time of Dr. Hallundbaek’s first sermon welcoming the head of the Hudson River Presbytery in 2006, at the suggestion of a mutual friend of Hans and Deborah, Danny Martin. The prayer for peace has become an integrated part of the church’s worship since that time. “The planting of a Peace Pole was a natural manifestation of love for life, planet, community, and the recognition of our profound need for Peace in the world. It was also a recognition that the church needed to take a stance. 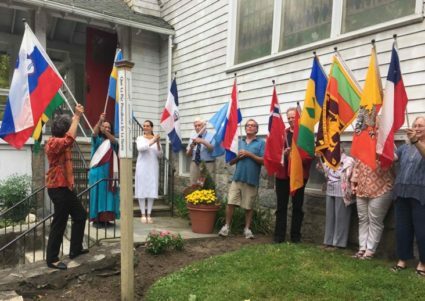 This year once again, people of different faiths gathered around the Peace Pole bearing flags of many nations to affirm the Peace Pole’s universal message: May Peace Prevail on Earth!